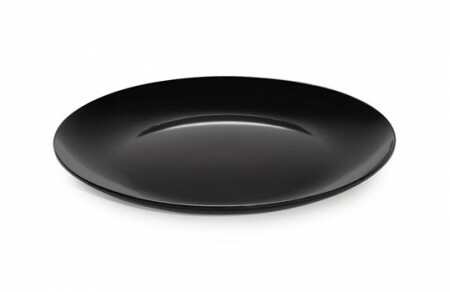 GET Enterprises ML-243-BK Siciliano Black Round Display Platter 24"
TigerChef > Dinnerware > Melamine Dinnerware > Melamine Serveware > Melamine Serving Sets >< GET Enterprises Siciliano Dinnerware > GET Enterprises ML-243-BK Siciliano Black Round Display Platter 24"
$55.99 GET Enterprises ML-243-W Siciliano White Round Display Plate 24"
$65.99 GET Enterprises ML-244-BK Siciliano Black Square Display Platter 24"
The GET Enterprises ML-243-BK Black Siciliano Display Platter 24" is perfect for entertaining and everyday dining. This platter boasts a sleek black finish and smooth surface that will easily mix and match with any existing dinnerware collection. Made from BPA-free melamine, this platter has a delicate look that belies its strength and durability. An excellent option for fast-paced environments, this NSF approved display platter has a break-resistant and dishwasher-safe design.